Tony oversees the Recycling business operations for Savers I Value Village, a leading for-profit thrift retailer with nearly 330 stores across the North America and Australia. Tony is dedicated to recognizing the potential of reusable merchandise while operating the companyâ€™s business in a sustainable, socially responsible way. 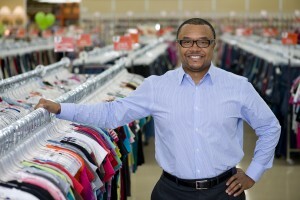 During his tenure, Tony has been instrumental in establishing Savers I Value Village as a global leader in clothing and textile recycling, diverting more than 650 million pounds of goods from reaching landfills in 2015 alone. Tony brings 20 years of valuable management and executive experience in operations, logistics, sales and sourcing for companies like Mitsui O.S.K. Lines and Weyerhaeuser.